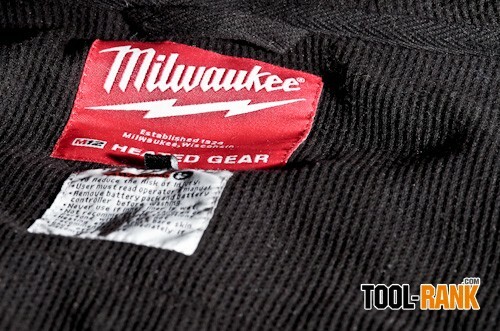 When users told Milwaukee they didn't like putting their nice heated jackets through jobsite abuse, Milwaukee's answer was to come out with a heated hoodie. 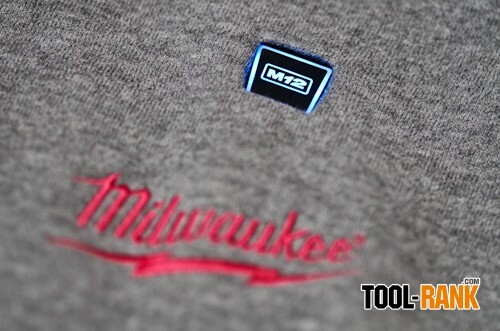 In this review we take a closer look at the less formal, less costly, but still stylish Milwaukee M12 Heated Hoodie. To me, a hoodie just seems like a more natural fit as jobsite attire. Being light weight, comfortable, and easy to move around in is exactly what I look for in work wear. 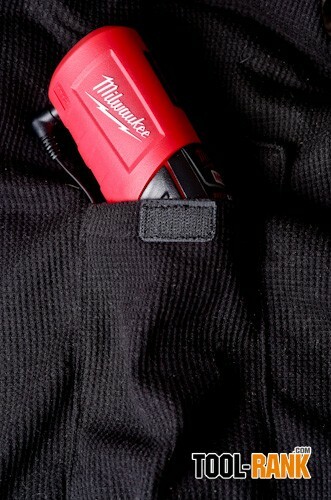 But I also want it to be warm, and the Milwaukee M12 Heated Hoodie seems to be both. 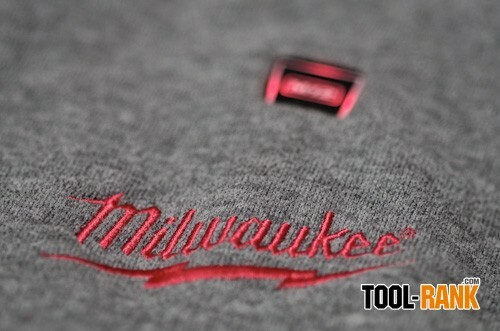 On the outside Milwaukee chose to go with a cotton blend that is both soft and durable, while the inside is lined with a waffle-weave thermal fabric layer. This combination alone will keep you warmer that most off the shelf hoodies, but as we all know, the real magic happens between those layers. 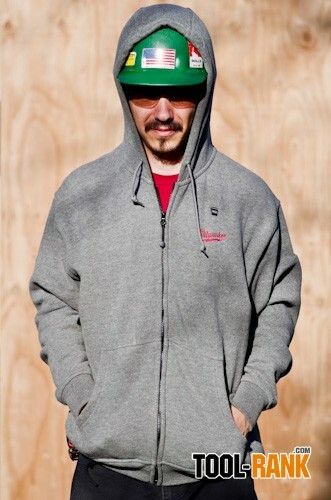 It is there where you will find the heating elements that set this hoodie apart from all the rest. The Milwaukee Heated Hoodie has a few heating zones that are strategically placed to provide heat where you need it most, two on the chest and one on the back. You can use the illuminated button located on the chest to adjust the 3 heat levels. A different color for each heat setting makes it easy to identify which level you are currently using. Milwaukee says you can get up to 6 hours of runtime on a single charge, but that will depend on the battery capacity and the heat level you are using. For the most part I was running the hoodie on the high setting, and with a 1.4Ah M12 battery it was lasting me about 1.5 hours. Timing the runtime of the hoodie was actually harder than you would think. The waffle-weave thermal fabric did such a good job of holding the heat in, that the jacket stayed warm long after the battery died. I would look down at the light and see that it was off and wonder how I was still warm. Admittedly, me being in Southern California didn't allow me too many days to try out the hoodie at freezing cold temperatures, but that doesn't mean I wasn't putting it to good use. First thing in the morning I would throw on the Heated Hoodie, set it to high, and let it take the chill out of the morning air. It works better than a hot cup of coffee. 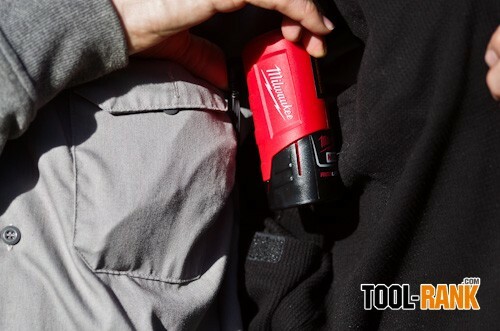 Like previous Milwaukee heated gear their hoodie is powered by an M12 battery that plugs into a power receptacle that is held in a small pocket located on the inside near where your left kidney is. Understandably the location of the battery could be annoying at times, but what bothered me most was just trying to get the battery in and out of the pocket. 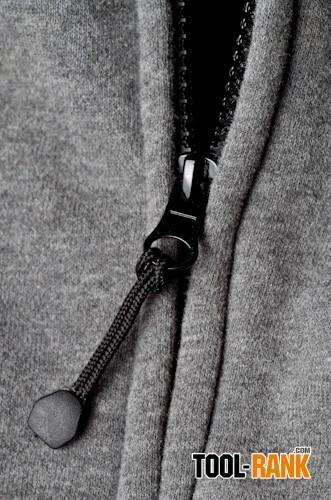 If I were to change it, I think I would go with a wider pocket that uses a draw-string to cinch it closed. 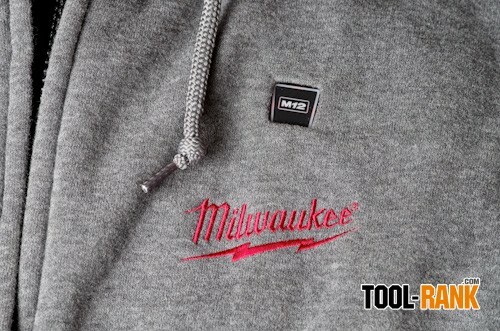 Overall, I am a fan of Milwaukee's Heated Hoodie. I don't know that I want to wear it on the jobsite just yet and risk the chance of getting glue or caulking all over it, but I probably just haven't been cold enough yet. It is machine washable, but the kind of glues I work with typically don't wash out. It seems like Milwaukee took the time to think things out and even made the hood big enough to fit over a hardhat, which I appreciate. Its little things like that that help keep the heat in and are what makes the product great. Visit Milwaukee Tool for more information.